Picking second in the 2018 NHL Entry Draft are the Carolina Hurricanes, so pack your bags for the Raleigh heat! We’re heading to the Research Triangle for the Canes’ offseason preview! With a new owner, general manager and head coach in town, the Hurricanes are certainly a difficult team to predict. Will owner Tom Dundon initiate the fire sale many have mused he might after his $420 million toy failed to live up to expectations, or will this newly-formed management team pull their heads together and realize that they truly do – at least in my opinion – have some valuable pieces that, if directed the correct way, could turn into something special? With the 2018 NHL Entry Draft only 11 days away, something tells me we’ll have our answer sooner rather than later. For sake of argument within this piece, we’ll assume the Canes try to keep their relatively young club together and continue trying to push forward. With Buffalo likely drafting D Rasmus Dahlin with the first overall pick, new General Manager Don Waddell will have to settle for RW Andrei Svechnikov of the Barrie Colts, the consensus second-best prospect available in this year’s draft. Fortunately for Waddell, this crop of young players is rife with talent, and Svechnikov is no exception. In 44 games played with Barrie during the 2017-18 season, the 18-year-old Russian scored a whopping 40 goals en route to a 72-point season, both of which led OHL rookies. In fact, Svechnikov’s 1.64 points per game not only led all first-year players in his league, but was also fifth-most among all players. Svechnikov may be only the second-best player in this draft, but Carolina will be receiving a far from second-rate player. Especially given the five pending free agent forwards associated with Carolina, there’s an extremely good chance Svechnikov gets a spot on this Hurricanes roster that fell 14 points short of returning to the playoffs for the first time since 2009. In particular, the youngster has to be licking his chops knowing 35-year-old RW Lee Stempniak has yet to sign a contract with his club of two years. Playing only 37 games to a 3-6-9 stat line, the NHL journeyman did little to convince Waddell – or any GM, for that matter – that he’s worth keeping around, especially at the $2.5 million price the Canes signed him to a couple Julys ago. Instead, RFA F Elias Lindholm and UFA C Derek Ryan will attract much of the attention among the Canes’ free agent forwards. Should Carolina be interested in the services of either or both, it will certainly have the money to keep them around, as Waddell has a touch over $27 million to play with. Of the two, 23-year-old Lindholm is undoubtedly the biggest target considering his 16-28-44 totals in 81 games this season. Coming off a contract that saw him earn $2.7 million, I wouldn’t be surprised to see him sign a three or four-year deal worth a minimum of $3.5 million per year. Considering he only made $725 thousand last season, RFA Phillip Di Giuseppe will likely also be retained in a bottom-six role, but his performance will need to improve unless he’d like to lose his roster spot to C Martin Necas, Carolina’s first-round pick in last year’s draft, or fellow RFA C Lucas Wallmark, the 2014 fourth-round pick who posted solid 17-38-55 totals in 45 games with the Charlotte Checkers. Along the blue line, Carolina only has two RFAs to worry about in 21-year-old Noah Hanifin and 26-year-old Trevor van Riemsdyk, and I’m of the opinion that Waddell should do everything he can to keep them with his club. Hanifin in particular played a major role on this squad this season, as his 10 goals led Hurricanes defensemen. However, coming off a $1.775 million contract, he’ll be looking for a significant pay raise. I wouldn’t expect a contract under $4 million per year. Amassing a career 318-244-84 record all with the Hurricanes, there’s a possibility G Cam Ward‘s 13-year tenure at PNC Arena could be coming to an end. The 34-year-old netminder posted only a .906 save percentage in his 43 appearances this season in a contract year. Playing in Ward’s favor is the fact that Carolina does not appear to have a netminder ready to jump into the NHL from the minor leagues. Unless Waddell can pull off the Canes’ second major goaltending trade in the past two years or land a young free agent (I like the prospect of G Christopher Gibson playing behind this defense, if anybody’s wondering), Ward just might be able to hold on to his job for a year or two longer. It’s Friday, so live it up at your local rink! No matter if you’re watching the NHL, AHL, ECHL, NCAA, juniors or any other league, any hockey on a weekend is good hockey. 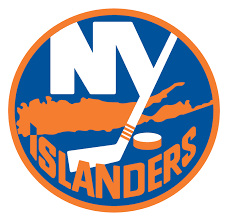 Like most nights, the action begins at 7 p.m. when Montréal visits the New York Islanders (RDS/TSN2), followed half an hour later by the next pair of tilts (Buffalo at Florida [TVAS] and New Jersey at Carolina). 8 p.m. marks the puck drop of Detroit at Winnipeg, while another duo of matchups (Minnesota at Colorado and the New York Rangers at Calgary) waits until 9 p.m. to get underway. Finally, 10 p.m. proves to be the busiest starting time of the night, as the final three games on the day’s schedule (Nashville at Vancouver, Ottawa at Vegas [RDS2] and Columbus at Anaheim [SN360]) close out the action with a bang. All times Eastern. After beating the Flyers last night to snap a six-game losing skid, Carolina is right back in the mix for a playoff position. Let’s see if the Canes can duplicate that success when they host division-rival Jersey. Losing six games in a row is never fun, but that doesn’t matter to the 28-25-11 Hurricanes all that much now considering they are responsible for snapping Philadelphia’s six-game winning streak. It may seem like basic analysis in the sport of hockey, but the two biggest issues facing the Canes in their past seven games has been a struggling offense paired with horrendous goaltending. Since it’s easier to criticize goaltenders statistically, let’s start there. 10-16-7 G Scott Darling, who will likely be in net tonight since 18-9-4 G Cam Ward played in Carolina’s victory yesterday, has not been very good in the three starts he’s earned since February 15. He’s managed only an .842 save percentage and 4.01 GAA, dropping his season marks to .889 and 3.08. Now, before you go off and start defending Darling or Ward, I would like to present you with the fact that over their past seven games, the Hurricanes’ defense have allowed only 25.71 shots against per game. That’s the best mark in the NHL since February 15 by more than a quarter of a shot. Like I said, some rough goaltending is 100 percent responsible for Carolina allowing 3.57 goals per game over its past seven showings. Of course, those struggles on the defensive end put even more pressure on the offense, but the attack has done little to rise to the circumstances. Even with F Teuvo Teravainen (4-1-5 totals) and RW Justin Williams (2-3-5) leading the way, the attack has managed only 1.86 goals per game over this run – the second-worst mark in the NHL in that time. But last night, the script turned an entirely different way. In hostile territory, the Canes came away with a 4-1 victory. Williams dominated the game with two goals and three points to his credit, and Ward saved all but one of the 22 shots sent his way. The Canes will need a similar performance tonight if they want to turn yesterday’s victory into a winning streak. Meanwhile, 33-23-8 New Jersey has posted a 6-2-0 record over its past eight showings, and it’s all because of the solid play of 15-8-2 G Keith Kinkaid – tonight’s projected starter since 17-12-6 G Cory Schneider was in net for last night’s 3-2 loss at Florida. Taking over Schneider’s net while he was injured was not always an easy task for Kinkaid. In fact, he posted three losses in five days in early February. However, Kinkaid has been stellar lately to win five of his last six starts, posting a solid .933 save percentage and 2.12 GAA in spite of his defense allowing 33.22 shots per game since February 13, which has been the median for the NHL since then. With that success, Kinkaid has improved his season marks to a .903 save percentage and 2.99 GAA. Tonight’s matchup is Game 3 in a four-game regular season series between these two clubs. So far, New Jersey has had the better of the Hurricanes, as the Devils beat them 5-2 on February 15 (C Nico Hischier earned First Star honors with his three-point effort), followed only three days later by a 3-2 overtime victory at PNC Arena (F Taylor Hall provided the game-winner with 23 seconds remaining in overtime). Of the two teams involved, Carolina undoubtedly has the most to gain currently. Should the Hurricanes earn a win in any way but the shootout and the Blue Jackets lose to Anaheim in regulation, Carolina would advance into the second wild card. That’s not to say the Devils can’t improve tonight, though. Due to losing a regulation+overtime wins tiebreaker to Pittsburgh, New Jersey can only pull into a tie for third place in the Metropolitan Division with two points tonight, but applying any pressure to the Penguins has to have a positive result for Jersey. With both clubs playing last night but bucking their recent trends, it’s hard to guess how this evening’s game will go. Though the game is taking place in Raleigh, I think the Devils have a good shot at earning two points this evening since Kinkaid will be back in net. After allowing two scores in the first period, the Los Angeles Kings responded with five unanswered goals to beat the Columbus Blue Jackets 5-2 at Staples Center in yesterday’s DtFR Game of the Day. RW Cam Atkinson (LW Artemi Panarin) wasted no time in getting the Jackets on the scoreboard in this one, as he scored his wrist shot only 3:41 into the game. That marker was followed 9:52 later by D Seth Jones (W Matt Calvert and D Zach Werenski) doubling Columbus’ advantage with a snap shot. After receiving what I’m sure was a serious tongue-lashing by Head Coach John Stevens, Los Angeles took control of the game in the second period starting with Second Star of the Game F Nate Thompson‘s (First Star D Christian Folin and D Dion Phaneuf) fifth goal of the season, a snapper at the 2:48 mark. 2:23 later, Third Star F Alex Iafallo (Folin and D Jake Muzzin) tied the game on a tip-in. The final goal of the third period belonged to LW Tanner Pearson (D Drew Doughty and F Tyler Toffoli), and it proved to be an important one. With Panarin in the penalty box for hooking the eventual goalscorer, Pearson turned from goalie screen into shot re-director when he tipped Doughty’s wrister from the blue line past G Joonas Korpisalo‘s right skate and into the back of the net with exactly one minute remaining on the penalty and 3:27 remaining in the frame. With only a one-goal advantage in the second intermission, the Kings continued to apply pressure in the third period. F Jeff Carter (Folin) scored a shorthanded backhanded shot 8:22 into the frame to set the score at 4-2, followed 8:21 later by Iafallo’s second goal of the night to set the 5-2 final score. G Jonathan Quick earned the victory after saving 30-of-32 shots faced (.938 save percentage), leaving the loss to Korpisalo, who saved 29-of-34 (.853). For the second-straight day, the home team in the DtFR Game of the Day series earned a 5-2 victory. As such, the 76-47-19 hosts now have a 22-point advantage on the roadies in the series. Two games. Two games is all Geno played this entire week, and he still scored six points. Currently riding a six-game point streak with 13 total points in that time, Malkin is just torching everything in his path. In his two contests this past week he tallied a goal and two assists in Carolina before reversing the numbers in Florida. Perhaps even more impressive is the fact that only one of those six points was on the power play. In fact, just two of the 13 points he’s scored in this streak were away from even strength. The Penguins were already stacked and red-hot before adding Derick Brassard, so as of this writing, there’s no solid reason not to bet on the three-peat. Possibly the quietest Vezina candidate of all time, Freddie has been stellar for basically the entire season, and is a huge reason the Leafs are where they’re at in the standings. But playing behind that offense doesn’t leave a lot of spotlight left for the Danish netminder. Not that he seems to mind. Downing the Panthers, Islanders, and closest rival Boston during the week, Andersen posted a .939 save percentage and 1.96 GAA on the week, stopping 92 of 98 shots faced. If not for an .870 result against Boston (a game that was still a regulation win for his Leafs, mind you) where he allowed three goals on only 23 shots, Andersen’s numbers could have been even more spectacular. Still, that 3-0-0 record is probably the most important thing to him and his team. Currently carrying a .922 save percentage and 2.67 GAA on the season to accompany a 32-16-4 record, Freddie has firmly placed his name in the category of ‘Legit #1 goaltender’, and his Toronto squad looks poised to potentially do some postseason damage. International officiating is somehow actually worse than NHL officiating, believe it or not. Mike Fisher is now o-fish-ully back with the Predators, having signed a $1 million contract for the remainder of the 2017-’18 season. The Preds definitely seem to be all-in for a Cup run this year, convincing former captain Fisher to unretire, and acquiring wrecking ball winger Ryan Hartman from division rival Chicago at the deadline. Erik Karlsson is still an Ottawa Senator, which I suppose is great news to anyone not named Erik Karlsson. Jack Johnson is still a Blue Jacket, and I can only assume our good friend Cap’n Cornelius can actually feel me typing those words as they dig into his soul. Oh well, at least we got to see Aaron Portzline be wrong about something again. Andrei Vasilevskiy made another save by reaching his glove behind his back, confirming that the original was not a fluke and that he is not actually a human but rather some sort of crazy Russian android, and I feel like we’re not as concerned about that as we should be. Brian Gionta and Cody Goloubef managed to earn the attention of NHL teams during their respective Olympic tournaments, with Goloubef getting a contract from the Flames, and Gionta (admittedly surprisingly) signing with the Bruins. Johnny Oduya was waived by Ottawa and claimed by Philadelphia, and I can only assume he did not need transportation to make the trip from Ontario to Pennsylvania. In pursuit of their third-consecutive Stanley Cup, the Pittsburgh Penguins traded F Greg McKegg to the Carolina Hurricanes in return for F Josh Jooris. Originally an undrafted free agent, the 27-year-old Burlington, Ontario native is in his fourth NHL season and has already played for just as many teams (CGY, NYR, ARI and CAR). In 204 career games, Jooris has posted 23-32-55 totals, or .27 points per game. He signed a one-year, $775 thousand contract with the Canes on the first day of free agency last summer and played 31 games to 3-3-6 totals before being placed on waivers earlier this month. Since then, he’s posted 0-3-3 totals in five games with the AHL’s Charlotte Checkers. Jooris will be an unrestricted free agent this summer. McKegg started the season as Pittsburgh’s third-line center, but – similar to Jooris – ended up on waivers by early December. McKegg has appeared in 91 games over the course of his five-year NHL career, posting 7-6-13 totals. This season, he’s enjoyed 26 showings with the Pens, earning only 2-2-4 marks. McKegg signed with the Penguins this offseason on a one-year, $650 thousand contract. He will be a restricted free agent this summer.